I spent the first couple of days having fun with SDRsharp, but soon I started getting tired of scanning here and there to find Radio frequencies and looking at spectrum. I am more interested in more serious type of SDR, like capturing IQ data from the hardware and analyze it. 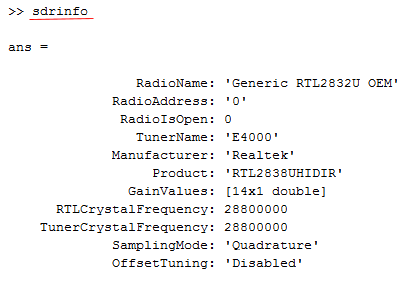 I googled several posts about capturing I/Q data using SDRsharp, but somehow those tutorials didn't work well as I expected.. also SDRplugIn for this kind of application didn't get installed as described in the tutorial somehow. While googling through pages looking for better tutorial, I came across a page about integrating RTL device with Matlab. I was so excited about it and decided to try right away. I downloaded the electronic book right away and type in the first command, but it didn't work. With some struggle, eventually I got all the steps done correctly and got this working. The book has instructions about the installation of the package that is required to allow Matlab to get access to RTL device and supplimentary package to utilize the device. But I struggled for a while due to some of the steps which is not explictely explained. 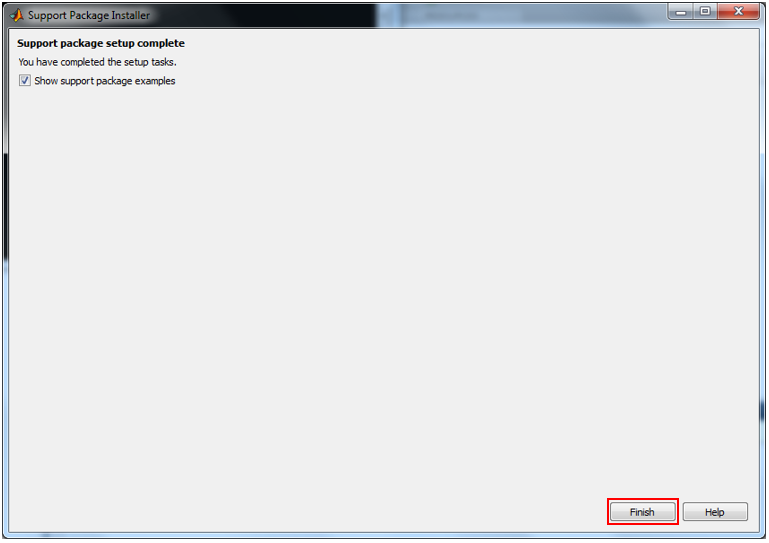 So I decided to capture the screenshot for each and every steps for the installation and share it with readers. The procedure explained here is based on Matlab 2014b which I am using and also recommeded by the book. 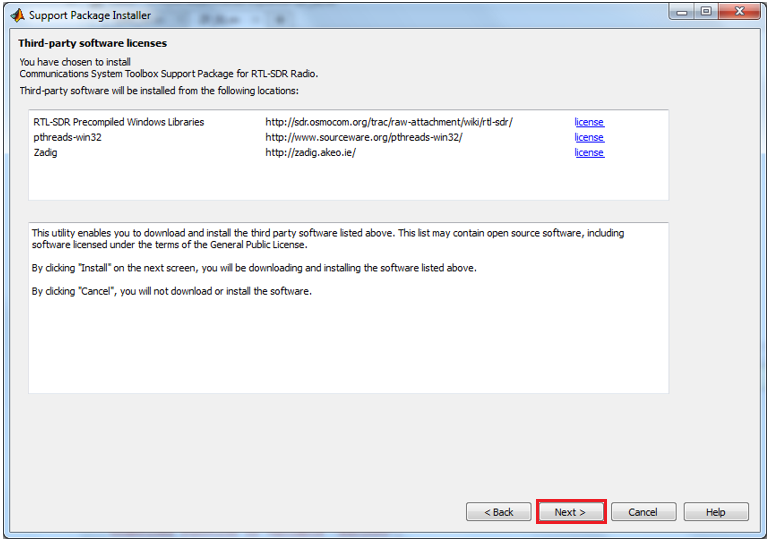 In order to use this package, you need to have followings ready. If you don't have these items, just download the book and read it. You would not be able to try those Matlab functions on your own. 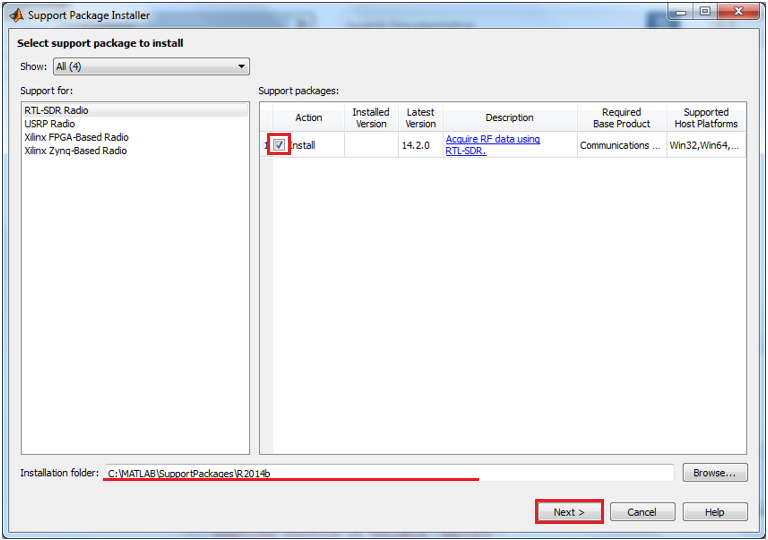 First, you need to have MATLAB and Package as shown below. These are what are recommended by the book, but I think MATLAB and Communication System Toolbox are really critical component. 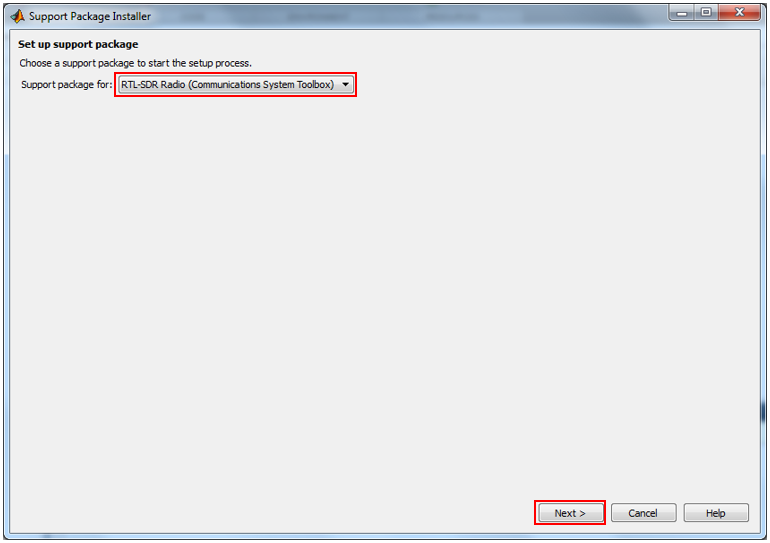 You may not be able to run all the examples from the book unless you have all of these components, but at least you can do something if you have only MATLAB and Communication System Toolbox. In my case, I don't have Simulink. So I cannot run most of samples provided by the package, but still I can do a lot of things by matlab script. 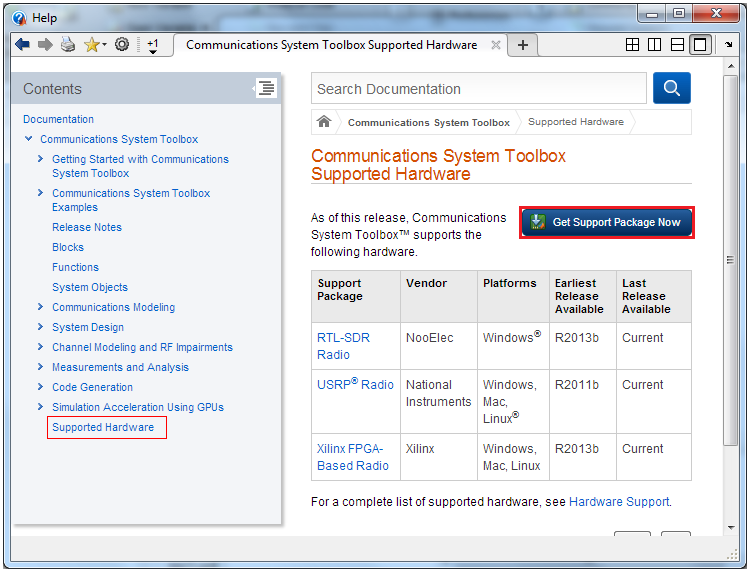 Step 1 : Open up Help Window and click on the topic "Supported Hardware" and you will see the list of SDR package info as shown below. 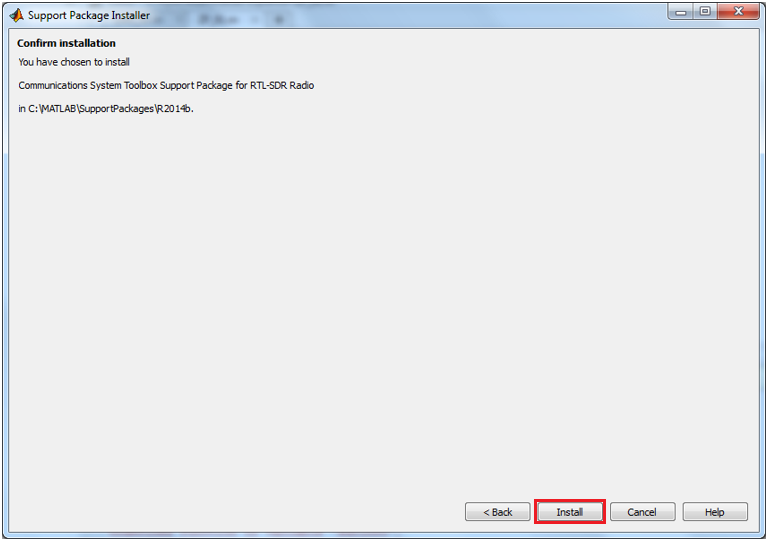 Then, Click [Get Support Package Now] button. 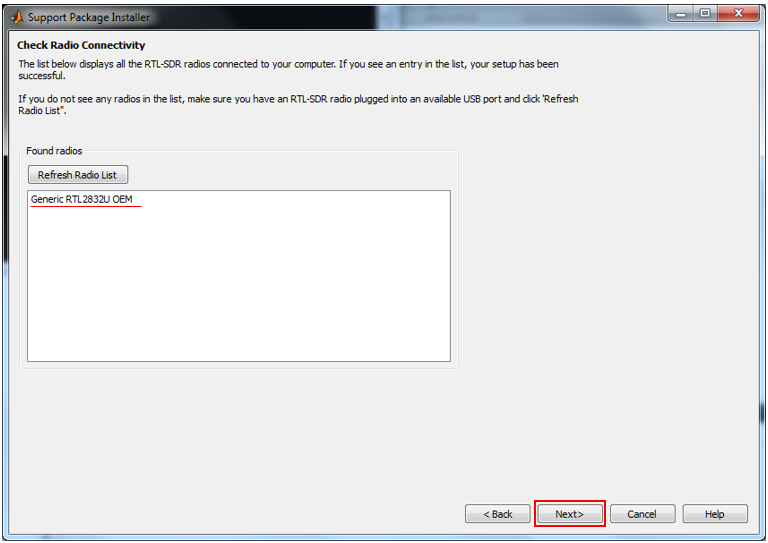 Step 2 : Select the hardware that you have from the list and click on [Next >] button. 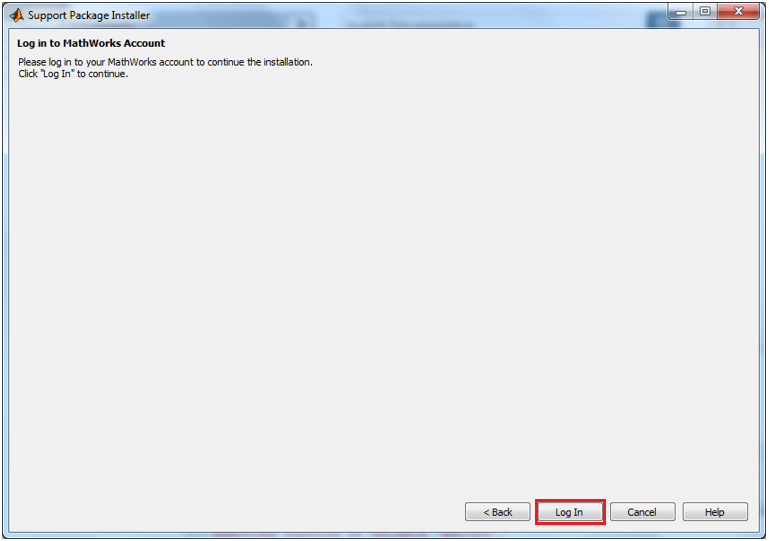 Step 3 : Click [Log In] button in the following Window. 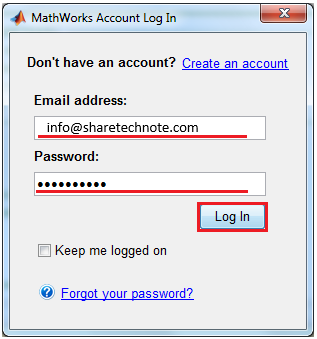 Step 4 : Type in your email and password for your Matlab account and click [Log In] button. 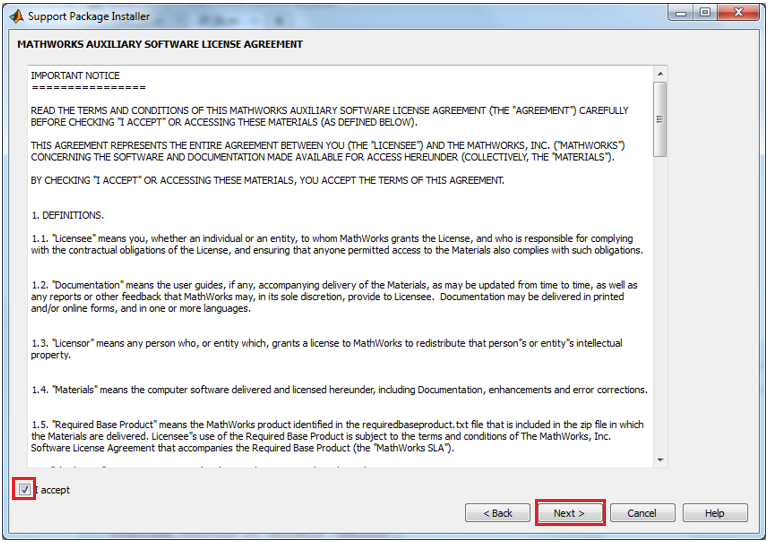 Step 5 : Accept the license agreement and click [Next]. 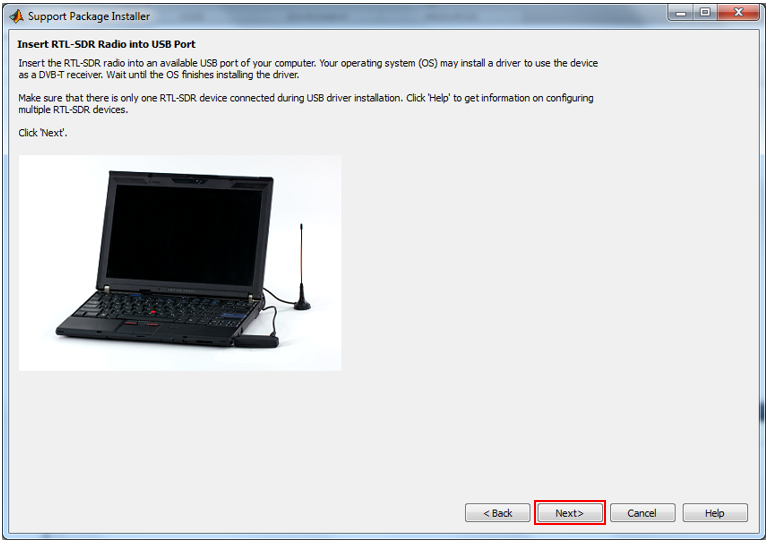 Step 14 : click [Close] if you get this popup. 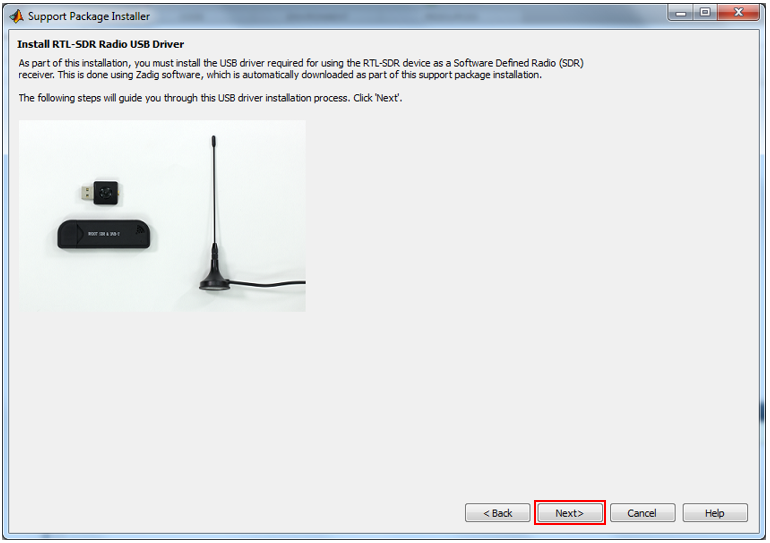 Step 17 : Now run Matlab and try sdrinfo. 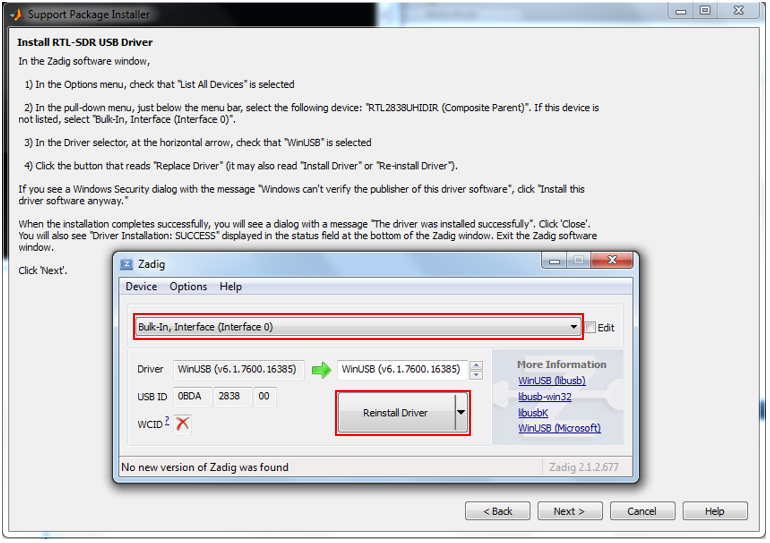 If you get the result as shown below, it mean the driver installation is done properly and your dongle is working correctly.